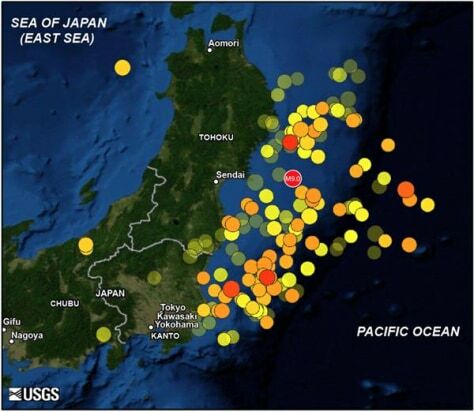 This map shows the March 11, 2011 magnitude-9.0 mainshock off Tohoku and 166 aftershocks of magnitude 5.5 and greater until May 20. Warmer color indicates more recent events. Larger symbol indicates greater quake magnitude.